The Baltic States have a rich and chequered history, and at various times have been home to a number of different nationalities. Riga is the European capital of culture this year – Tom Jones and the Kings of Leon are among the acts who have been performing there this summer. Great for admirers of Art Nouveau, the museum housed in the private home of Latvian architect Konstantins Peksens is an absolute delight. Just up the road, the Art Cafe Sienna, packed with genuine period furnishings, is a perfect stop for a coffee. Almost all of this city can be done on foot with the port 15 minutes from the centre. Riga oozes history from every corner, whether it be the Orthodox Church (a planetarium during Soviet times), the Powder Tower, the Riga Cathedral (then a concert hall) with its 6,718-pipe organ, or the central market housed in former Zeppelin hangars. This is a green city and you may want to hop on a canal boat for a leisurely introduction to the place. The Freedom Monument honours soldiers killed during the Latvian War of Independence from 1918 to 1920. The former KGB headquarters is now open to visitors; it and the Museum of Occupation are reminders of a darker past. Warm up with lunch at the Restaurant Riviera or at Koya, closer to the port; stop off at Laima for chocolates and do try the local herbal liqueur, Riga black balsam. From the port it’s a 10-minute walk to Tallinn’s main attraction, the Medieval Old Town, which is a gem. Entering from the grand gates, 12th century Oleviste Church, once the tallest building in Europe, stands proud before you. For two euros, visitors can climb the tower to enjoy the great view. Safe to ignore the tourist tat in the Sadama Turg port market and for a different atmosphere visit the old city walls on Muurivahe Street where market stalls bustle with activity. Town Hall Square is where the city really buzzes. Sit and watch the world go by at one of the many cafes. You may even chance upon one of the various medieval characters who bring history alive, as does the Estonian History Museum with its “Spirit of Survival: 11,000 years of Estonian History” exhibition. A trip to the old artillery tower Kiek in de Kok offers insight into Tallinn’s fortifications as well as the chance to visit The Bastion Tunnels, an underground system dating back to the 17th century..
Toompea has great views and is home to the Estonian Parliament building and two historical churches. Less well-known is Linnahall, a crumbling concrete edifice built as a concert and sports venue for the Moscow Summer Olympic Games in 1980 when Estonia was part of the Soviet Union. After a morning’s walk you may want to have lunch in the garden of restaurant Leib Resto ja Aed in Uus Street or, if you are feeling adventurous opt for a medieval meal at Olde Hansa. 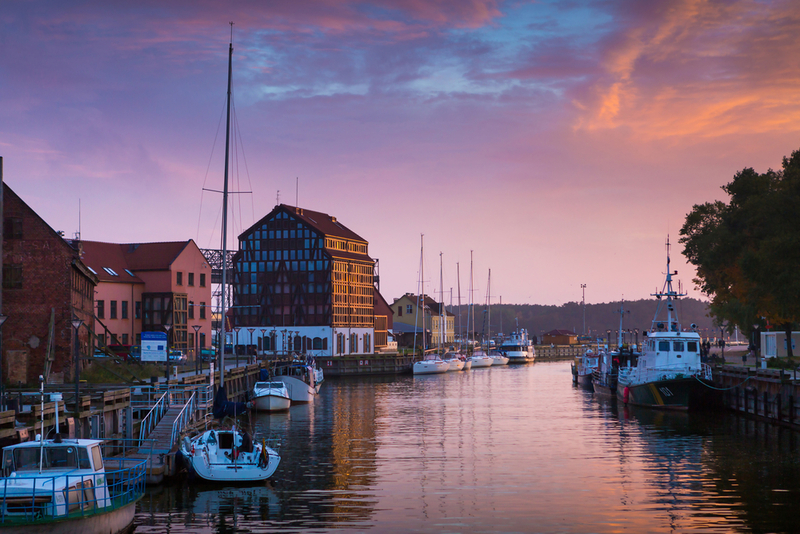 Klaipeda is Lithuania’s third largest city with a history dating back to 1252 and the Teutonic Knights. Off the beaten track, its Fachwerk-style old town, craftsmen‘s courtyards and cobblestone streets are an easy stroll from the ship. 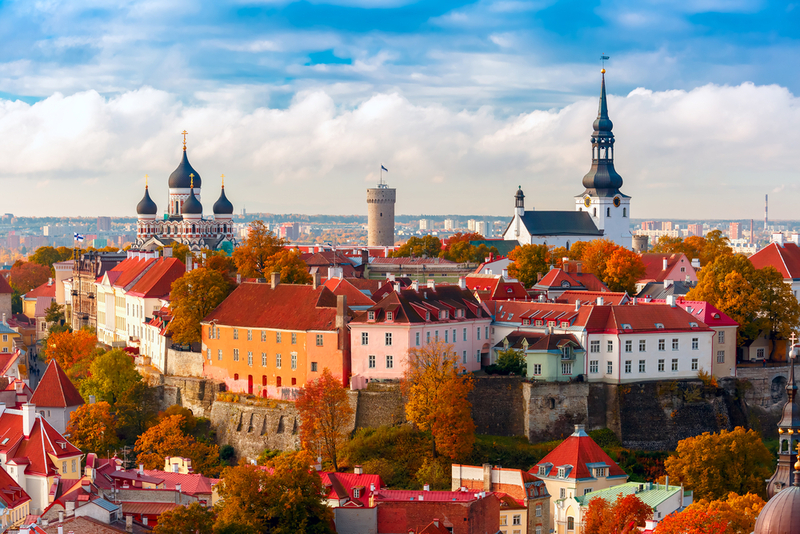 This is also a city rich in museums ranging from the Lithuanian Sea Museum and the Dolphinarium to the Clocks and Watches Museum and Blacksmith Museum. Feeling adventurous? Hop on a ferry to the Curonian Spit, a UNESCO world heritage site with the highest sand dunes in Europe at 52m. For another breather from the city try Palanga, the country’s largest resort but also home to an museum full of amber-fossilized insects. A more sinister attraction, if you can call it that, is the 1960s-built Plokstine Soviet Nuclear Weapon Site hidden deep in the forests and with its rockets aimed at Western European cities. Climbing through a narrow hatch to see the 27-metre deep missile silo and the bleak living quarters may not be everyone’s cup of tea but it’s certainly different. Perhaps more uplifting is the Vente Cape Bird Ringing Station opened in 1929. As you head back to the ship you could stop off at the Ferryman House restaurant for Lithuanian ‘beast’s meat and Baltic Sea fishes’ while watching the ships go by.